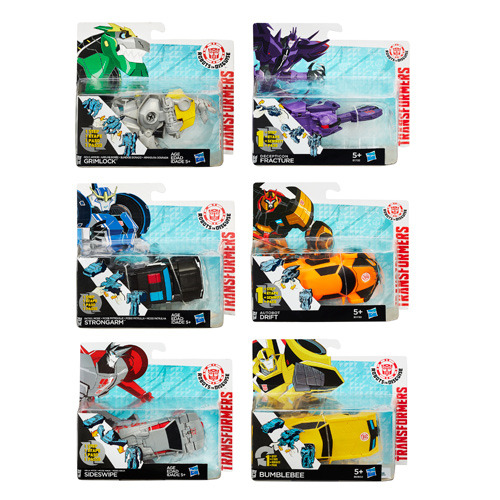 Transform in a hurry with the Transformers Robots in Disguise One-Step Changers! Just flip the figure in your hand, and it goes from vehicle to robot and back again. It's easy - give it a try! Ages 5 and up.